Our long time client, NGEx Resources approached us with a rebranding request. With new and exiting things on the horizon they wanted a stronger, more powerful logo that would signal a pick up in pace to the investor. 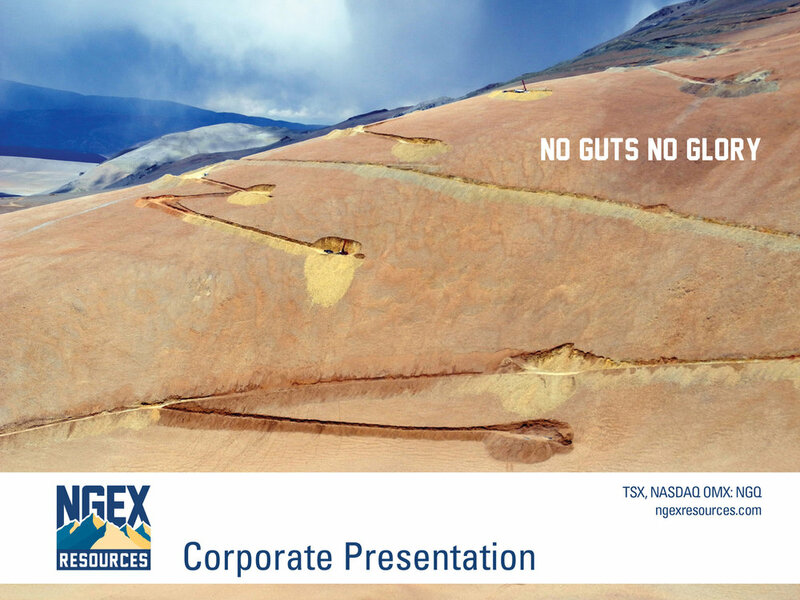 Using the success of the logo design for the company’s recent spin-off Filo Mining as a departure point, we revisited the core values of NGEx Resources and their motto ’No Guts No Glory’. The new logo elevates the name NGEx above the high Andes where the company’s projects are located. It plays with the notion of a range of opportunities to explore and develop. The style, reminiscent of vintage mountaineering illustrations, embraces the idea that a combination of hard work, skill and risk are the only path to reach the pinnacle. This incredible unaltered photo from Josemaria project shows how truly amazing the colours of high Andes are.